Looking to enhance your home or business with a privacy fence, garden fence, pool fence, boundary fence or security fence? Find it here at Family Fence! 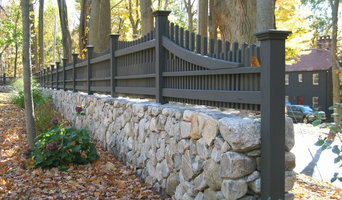 Whether you know exactly what you are looking for or are in search of fence ideas, we are here with over 20 years experience serving Nassau County, Suffolk County, Queens. Our expert consultation services, reliable fencing products and reasonable pricing ensure the very best customer experience in attaining the perfect fence solution for your home or business. Call us today! Our 2019 landscaping season is in full swing with scheduling time slots filling up. Call us today and let’s talk about making your outdoor living dreams come true in 2019! New! Designscapes of Long Island Landscaping now offers Sculpted Bio-Design Swimming Pools modeled with beaches and beach entries, customized submerged seating areas, and swimming zones! We also now offer ClifRock engineered stone panel systems that make it possible to bring high-end outdoor living features and resort style environments to absolutely any backyard. Call us today for your @ 631-475-0677! With a degree in landscape design & horticulture, over 3 decades of landscape installation experience, owner Dan Steigerwald does not have a “signature style". Dan deliberately invites our clients’ tastes and desires to direct the course of his designs. When Dan started Designscapes of Long Island in 1985 his vision was a company that provided quality installations, at fair prices and would grow by consistently delivering exceptional beauty, creativity, professionalism and service. 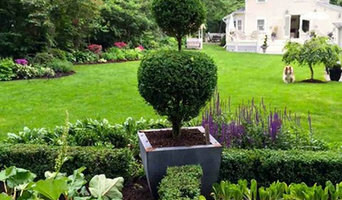 Designscapes Landscaping of Long Island owes its sparkling reputation to our wonderful staff and crew who have been by our side for since 1985. Each member of our landscape team works hard to produce the best work for you every day, with promptness, cleanliness and attention to detail. We are proud of all our staff members and value their skill and experience as we design and install the best landscaping projects throughout Long Island. With our many years of combined knowledge, experience and professionalism, we’re sure to give you a landscape design unsurpassed in beauty, integrity and longevity – guaranteed! I started this business in 1983 as handyman service that included landscaping as well. It then became Richard Jones Landscaping and Home Improvements. My business philosophy has remained the same: To provide my customers the best quality and service at a reasonable price. Honest and integrity are the most important aspects of any businesses. I try to save my customers money where I can and provide the highest value possible. Sometimes it is not necessarily the least expensive route, but I’ve also learned that you get what you pay for. The Cutting Edge is a full service landscape design, construction, and maintenance company serving the residential and commercial needs of Sparta and the surrounding areas. Since our establishment in 2000, we have been building our list of satisfied clientele. We take the time and consideration to meet the specific needs for each of our clients. Please contact us to see how we may help you with your landscape design, construction, and maintenance needs.